I was glad that I was not the only one going to UK to do TESL at the young age of 18 years old. There were 30 of us altogether, with half going to Bognor Regis in West Sussex while our group was destined for Plymouth, Devon. 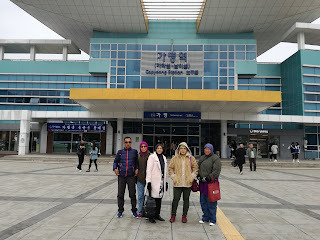 When we arrived, our seniors were already in their 3rd year. 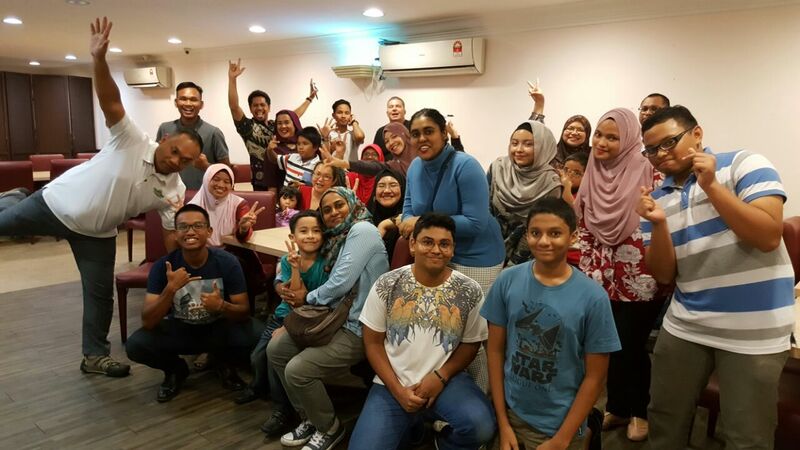 Throughout our stay there, more Malaysians came and went as they completed their postgraduate studies there. 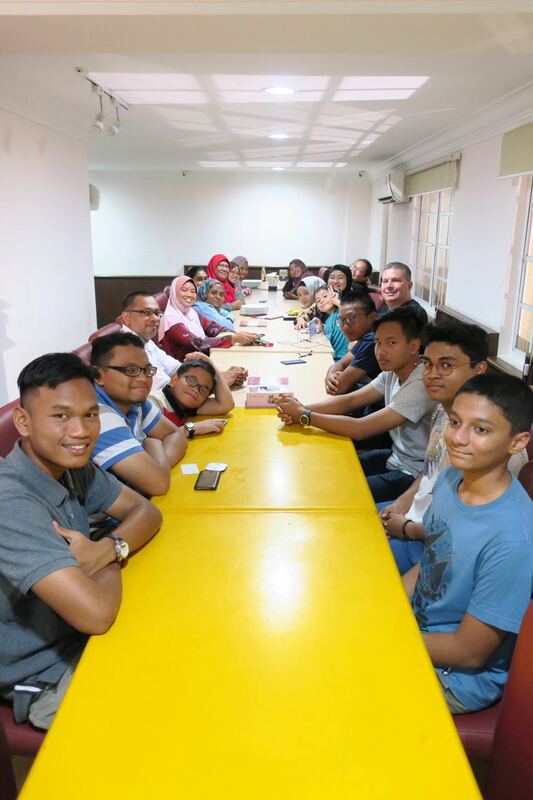 We also welcome a few batches of TESL Twinning Programmes trainees from MPIK Kuala Lumpur. At Marjon, we were surrounded by many International and home students. My mates and I spent 6 years together. We went through thick and thin and supported each other like sisters. Most were of the same age as me except for a few girls who were one or two years older but everyone was on first name basis with each other. We laughed, we cried, we got angry, we sulked, we regretted our words and actions, we forgave one another and we were good friends again. 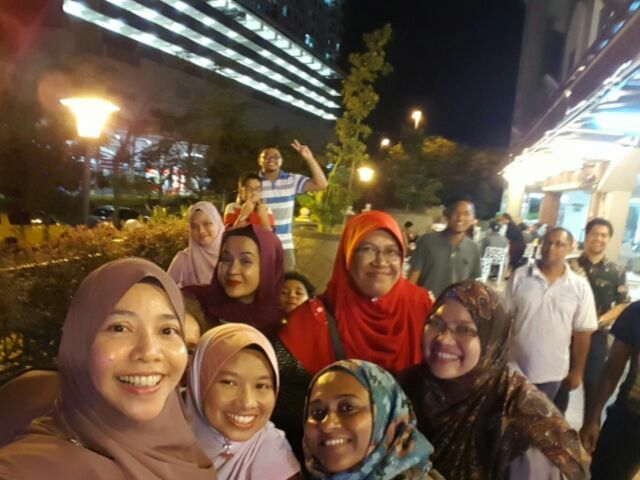 Some secrets were shared, some were hidden until we came back to Malaysia, some we lost contact with, some we still haven't met, some turned up for mini reunions but almost all still keep in touch through social media groups. I am the only one from Kedah. I studied at MRSM Kuantan for 5 years before going to UK. Now I am teaching MUET to sixth form girls at SMK Tun Sharifah Rodziah, Alor Setar. I have been there since October 1997! I did my Master's degree at UUM and graduated in 2008. Yana hails from Perlis. 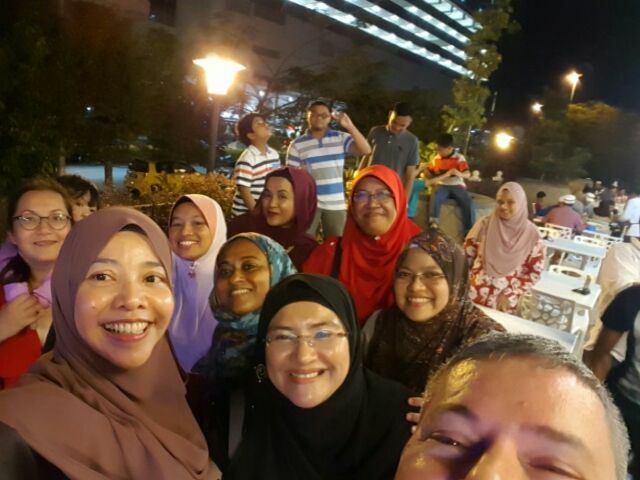 She married a fellow Perlis man but now they reside in Dungun, Trengganu as she lectures at UITM. I have met most of the girls except her. She rarely came up north now since her parents have passed away. I miss you, Yana. How your girls have grown! Mas comes from Temerloh, Pahang. She met her future husband in UK, Zaman. Now, she is an active member of BAKAT at TLDM Teluk Sepanggar, Kota Kinabalu. She is a proud mom of 3 boys and 13 cats at present! She has completed her MA and is a teacher at a secondary school in Sabah. She is an avid runner and has climbed Mount Kinabalu with her family. Zeti is a Kelantanese who used to study at Zainab School, Kota Bharu. She met a French-Algerian and later they got married and now they have 3 beautiful kids who are multilingual - Malay, English, French and Arabic. She used to live and work in Algeria before settling down here in Malaysia and is now a manager at ELS centre. Nikki is also a Kelantanese. She has done her MA and used to teach at a secondary school before marrying her British hubby and now resides in Cornwall. She met him online. They fell in love. The rest is history. She divides her time between her work at Exeter university as an admission officer and the beautiful garden around her house. Amy is from Taiping, Perak and is the only child in the family. I think she is the most ladylike in our group back then. She probably still is. She has a pretty daughter. She is now a lecturer at USM and has completed her PhD. She just moved to a new apartment in Penang after many years travelling to and fro from Taiping! That is pure dedication, Amy...! Ija is also from Taiping but is now living in Penang. 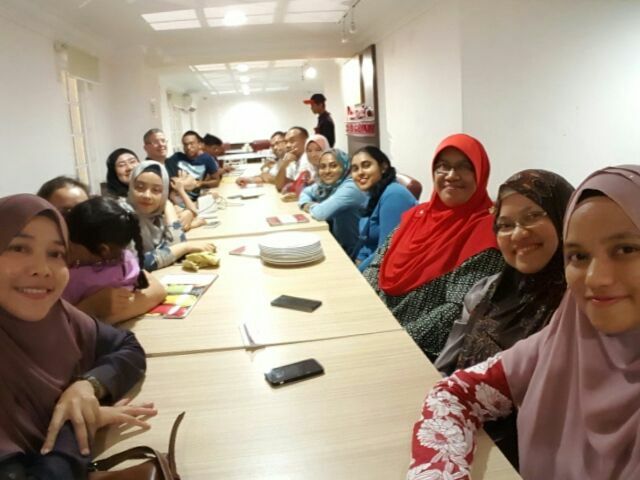 She has also completed he PhD and is now teaching at Penang Matriculation college. I salute this independent mother, wife and career woman whose husband is based in KL. She balances her career and her responsibility towards her 2 daughters and 1 son well. Ija is the only one who got first class degree from Marjon. Tara hails from Seremban, Negeri Sembilan. She did her PhD in New Zealand and is now a lecturer at UNITEN and is also an avid jungle-trekker, cave explorer and hill climber. She is married to a Kedahan. Her three children are impressive. Niza who comes from Ipoh, Perak is also married to a Kedahan. She is teaching at a secondary school in Rawang and has done her MA. During our studies, I discovered that she had the largest vocabulary in English among all of us. She would use low frequency words often when the rest used common everyday words. I admire her for that. I am happy that she has a son. Kecom is from Johor Bahru, Johor. She is the tallest and slimmest! She is now a lecturer at UKM. She met her hubby in Australia while pursuing her PhD. Her wedding in JB was our first big reunion. Jida is from KL. She left the education field to work as a PR. She is currently free-lance and also an agent for Public Mutual. She has an adorable daughter who spends her time between nursery, her grandparents' home and her mom's apartment. I think Jida is a strong, independent, single mother. Siti is from PJ, Selangor. She used to work for EON before leaving for Corporate Comm. She is now attached to the Energy Commission. She is a mother of two cute boys with big hairs (not anymore, I think - the hair, I mean). Leen hails from KL but now lives in Mauritius after marrying her hubby. Her two girls are the spitting image of her hubby and herself. She regularly updates her FB, showing her busy life there. She has completed her MA and now works as an HR manager there. She wishes she could come home more often. Yati Aziz, from KL, is currently M.I.A. We think she is living in UK. We always wonder about her life. I hope we will meet again some day. Tharu is our course mate from Maldives, along with Iku and Fatmath. Since Tharu lives in Malaysia now, we manage to keep in touch and meet up for reunions. She is now a busy mother of two. Her husband, Jalal, accompanied her to England during her studies. We envied her for this. She is famous for her spicy tuna balls which she serves during Hari Raya and other special occasions. 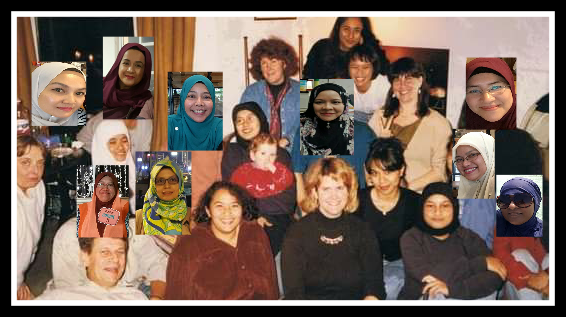 Kak Jay is our Malaysian senior who did her Master's degree and PhD at Marjon. She likes to cook and regularly fed us. This is one of the reasons why she was popular among International students, especially a certain handsome Uruguayan student who clearly looked up to her.... She is now a Professor at UNISEL after leaving UKM. Thank you, chinggu, for your everlasting friendship and love. I heart you guys!